These are sobering times in the Diocese of Pittsburgh, Pennsylvania. As noted this week by the Pittsburgh Tribune-Review, the total number of “active” Catholics within the diocese has plummeted from 914,000 in 1980 to just 632,000 in 2015. Since 2000, nearly 100,000 fewer Catholics are attending weekly Mass, a decline of 40 percent for the diocese. While His Excellency no doubt means well and has good intentions, we should still be troubled by his choice of words. These words, of course, are all too commonly employed in diocese after diocese, suggesting that the nature of the problem at hand (and therefore the required solution) still eludes many of our shepherds. I have written before of the current push by many in the Church for the Rebuilt model to be employed by parishes. From the Amazing Parish program to diocesan conferences, the drive to attract fallen away Catholics back to Holy Mass by employing the modern practices of Protestant mega churches is viewed as “better worship” by some. Dimly lit sanctuaries that resemble stages, full on rock bands situated only yards from the altar, jumbo television screens, “relevant” homilies that address many topics (except Catholicism), coffee bars in the narthex, and armies of laity…always up and always moving. This is why we cannot simply settle for “better worship.” There are those in positions of influence today who believe that trading authentic Catholicism, that which is timeless and universal, for a contemporary Evangelical praise and worship service is better. Words matter. As Catholics we should never simply settle for what’s good or better. Instead, we need to restore the sacred wherever it has been lost. Here’s the problem though. Many are firmly invested in their brand of neo-Catholicism and apparently view a forty percent drop in Mass attendance as preferable to the restoration of Catholic tradition and orthodoxy. I’ve written about the Diocese of Lincoln, Nebraska before. They have provided a blueprint for an engaged laity and booming vocations for decades, and yet few other dioceses seek to rebuild using their model. But why is this? Is it because Lincoln’s Catholic schools are staffed primarily by orthodox female religious and diocesan priests who teach only the authentic faith. Or maybe it’s because Lincoln has resisted the modern innovation of the feminized sanctuary, never having abandoned the practice of male only altar servers and acolytes for Mass. Regardless of motivations, what we do know is that more parishes are looking to a Protestant playbook for rebuilding Catholicism. Hopefully we can all agree that this is troubling. Understanding that the idea of “better worship” is problematic at best, let’s look instead to just one example of how the more precise term of “sacred liturgy” demonstrates a commitment to the authentic rebuilding of the Church: liturgical music. Where Bishop Zubik references “better music”, we need to remember that the liturgical movement of the twentieth century spoke specifically of Gregorian chant. 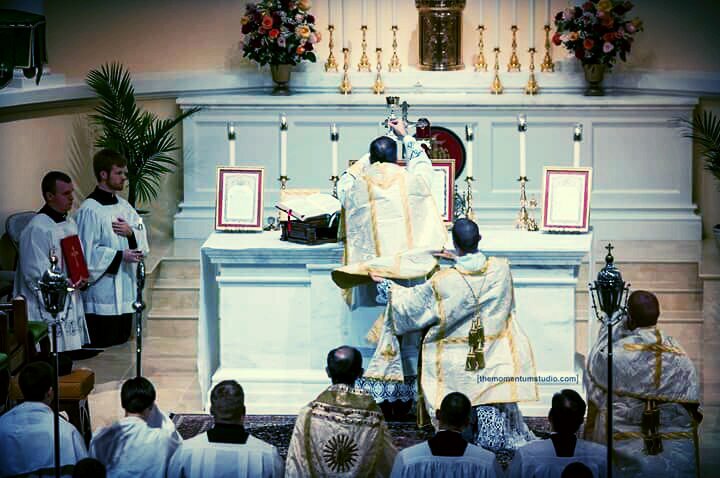 When Vatican II said that chant has pride of place in the liturgy (Sacrosanctum Concilium, 116) the Council was simply reaffirming an already established and ongoing reform of music within the Roman Rite which had begun with Pope St. Pious X in his (1903) motu proprio Tra le Sollecitudini, all of which was reaffirmed by Pope Benedict XVI in his Post-Synodal Exhortation Sacramentum Caritatis. This is how Catholics authentically make worship “better”…by looking to the truths and traditions taught by Holy Mother Church…and not to evangelical mega churches that lack a tabernacle, a priest, or a tradition that dates back 2,000 years. Pray that calls for reform in Pittsburgh and beyond seek not soft, subjective, language such as good or better. Rather, may we instead see those in authority seek the sacred when looking to address liturgical failings. Catholicism has a blueprint that works…and it isn’t Protestantism.